December is here and Christmas is near… hallelujah! So let’s crank the Christmas carols and get this festive month started, shall we? 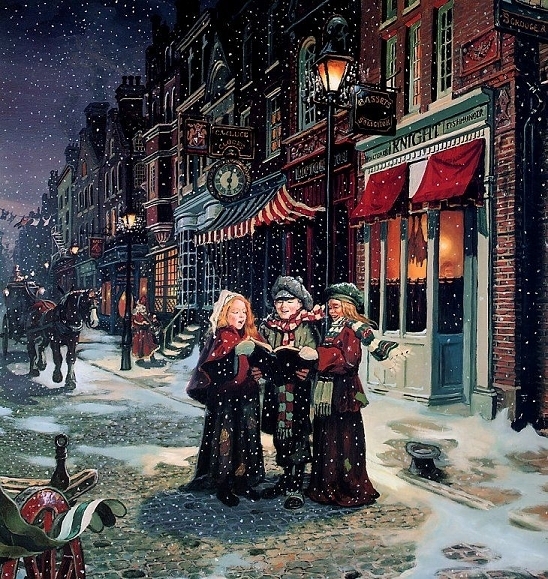 For me, the notion of Christmas in the Victorian era is a great one; it somehow seems so innocent and wholesome. I don’t know why this is, maybe I’m just a sucker for that period, but somehow things just seem more simple. My honest guess is that this would amuse the people who lived then, but what the heck, let’s deck the halls! 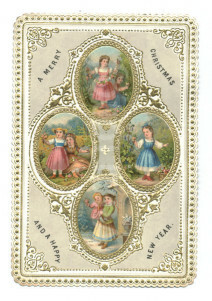 Of course you would have to start out with your Christmas cards, this was the era that invented them, and since internet connections weren’t that great in those days, everyone would actually write them and send them in the mail! 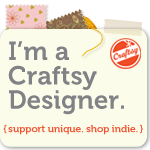 This entry was posted on December 6, 2016 by knittingwithheart. It was filed under knitting fun, reblog and was tagged with 1898 "Santa Clause" silent film by G.A. 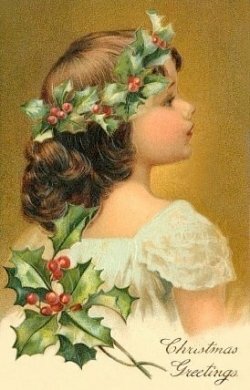 Smith, Christmas, Christmas carols, Christmas cheer, Christmas decorations, December, Hallelujah, hand-made, home-made, silent film, victorian, vintage, vision of Christmas past. I remember one year a few years ago, while caring for mother, my sister whose only “job” was helping me as caregiver. We were financially stretched, her more than me and I recall her giving me an orange in a paper bag with a ribbon and handmade card, because that was all she could give and I cried. It was the most precious gift I’d ever received, that and her being with me and helping me during a very difficult time. Simple and sweet and forever in my heart. Only once in my life have I experienced a ‘cool’ weatherwise Christmas. (I was in New Zealand at the time – I think the wind came from the Antarctic that day.) Most Christmasses both past and present had this HOT component. The images you post of Victorian times are refreshing and beautiful. I do believe the very first Christmas must have been cold. No one seems to prove for sure if there would have been snow. This is why we here have such a beautiful mixture of Christmas Cards – typically Australian with heat and BBQ’s etc but always, always the reminder of Northern hemisphere and snowflakes and sleds, and poor St. Nicholas who had to wear a red suit so if he fell off the roof of a poor child’s home (no fire cause too poor to buy coal) he could be seen in the snow. Santa was indeed born out of that ancient story of the man who wanted to bless poor children on Christmas Eve. Love the beauty you posted on this blog. Thank you sincerely. crank the Christmas carols – ha! We’re to finally have a white Christmas for the first time in years–yes, Wisconsin has had PLENTY of brown Christmases. I also love the Victorian take on Christmas imagery–there’s a softness that feels right with the season, just like the Christmas lights that glow beneath the powdery snow. Thanks for sharing this! Have a blessed christmas Jackie..bless you and your family.